Smola Consulting is comprised of experienced healthcare professionals in the Rochester area. Our team has over 65 years of combined experience in the insurance industry. Our experience ranges from medical plans, ancillary plans such as Life, DBL and Long Term Care insurance, as well as wellness and health promotion. We have experience working with all major carriers, both local and national. We have lead projects, dependent audits, government opportunities for available funding (ERRP), and selecting a vendor for on-line enrollment. Our extensive knowledge and experience enables us to coordinate and implement creative solutions for our clients. We care about our customers and are also always available to assist with day-to-day issues, including billing, claims, membership, and education. Steve has worked in the insurance industry for over twenty years. He started Smola Consulting in March 2006. He holds a Bachelor of Science Degree (Mathematics/Statistics) from the Rochester Institute of Technology. Steve completed his Master of Science degree in Management from Roberts Wesleyan College. He worked for Excellus BlueCross BlueShield in Rochester for fifteen years, where he held the position of Director of Rating & Underwriting within Actuarial Services. Steve also held the position of Vice President of Underwriting & Analysis at a local consulting firm for two and half years before starting Smola Consulting. Steve holds his New York State Life, Accident & Health license. Steve is also NYS Exchange -SHOP Certified and Individual Marketplace Certified . Steve is on the Board of Directors for the Italian American Coalition for Kids and 2015 Co-chair for the Mary Cariola Children’s Center Walking on Sunshine Event. Steve resides in Greece with his wife and two sons. 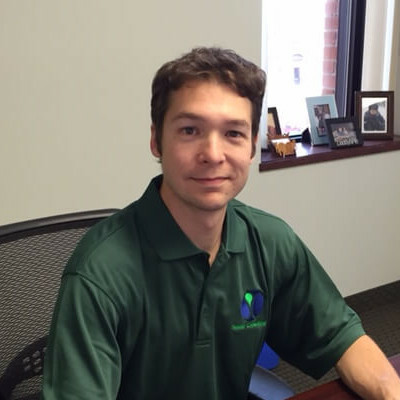 Joe has worked in the insurance industry since 2003. He earned Bachelor of Science degrees in Mathematics and Economics from the University of Rochester. He holds a Master of Applied Finance degree from the Newcastle Graduate School of Business in Newcastle, Australia, where he later earned his Doctor of Business Administration degree. Joe was a member of the Rating & Underwriting team at Excellus BlueCross BlueShield during 2003 and 2004. He holds his New York State Life, Accident & Health license. He is also NYS Exchange SHOP Certified and Individual Marketplace Certified. Joe has enjoyed his many years in Rochester in various student, volunteer, and work roles, including a year serving the Rochester community through the Rochester AmeriCorps National Community Service Program. He resides in Webster with his wife and children. Denise has worked in the insurance industry for over 25 years. She earned her Bachelor of Science Degree (Business Administration) from Rochester Institute of Technology . She worked at Excellus BlueCross BlueShield in various capacities, including Sales Management and Director of Integrated Delivery Systems, where she worked with two provider systems to develop their own HMO products. She was also Senior Director for Sales and Marketing for MedAmerica, a long-term care insurance company affiliated with Excellus BlueCross BlueShield. She worked at Excellus BlueCross BlueShield in various capacities, including Sales Management and Director of Integrated Delivery Systems, where she worked with two provider systems to develop their own HMO products. Denise also held the position at Excellus as Director of Key Accounts. Denise also worked at a local consulting firm for three years as an Account Manager. She was also Senior Director of the North American Sales Team at ElementK – a leading IT technology training company. Denise holds her New York State Life, Accident & Health license and a certificate from the National Management Development Institute from Northwestern University, JL Kellogg School of Management. Denise is also NYS Exchange SHOP Certified. Denise resides in Fairport with her husband and son. Sandy has worked in the insurance industry for over a decade. She earned her Bachelor of Science Degree in Mathematics from Baldwin-Wallace College and her Master’s in Applied Statistics from Bowling Green State University. Sandy’s work experience includes a longitudinal study at the University of Pittsburgh Medical Center, where she was a data manager. She spent two years at Financial Indemnity Company, a property/casualty insurance company, where she worked in the actuarial department. She was responsible for calculating rates, preparing rate/relativity comparisons, and developing rate filings which were submitted to various insurance departments. Sandy also worked for Excellus BlueCross BlueShield in the Rating & Underwriting department, as well as in the actuarial services department for ten years. She developed rates for experience rated groups, produced New York State Insurance Department regulatory filings, estimated reserve levels, prepared rate submissions for various products, and analyzed drug data to determine drug trends. Sandy has passed two Actuarial exams and holds her New York State Life, Accident & Health license. Sandy resides in Victor with her son. Shelly has been working in the insurance industry for over 10 years. She earned her Bachelors of Business Administration with a dual major in Risk Management & Insurance and Human Resources from Temple University, Philadelphia, PA. While in college Shelly interned in the HR department of a Property & Causality insurance company, PMA Insurance Group in Blue Bell, PA. Post-graduation, she began working at ACE USA in Philadelphia, PA. During her time on the underwriting team, she underwrote for a multitude of products including AD&D, Business Travel, Study Abroad Insurance, Defense Base Act Insurance, and War Risk Insurance. In 2007 she moved to Rochester taking a position with Excellus BlueCross BlueShield. In her first three years she worked for the Rating and Underwriting team and spent her last 5 years as an Information Consultant (IC) in the Finance Department. In her IC roll Shelly presented to her clients utilization patterns, market and health care trends, and health management and wellness initiatives. Shelly holds her New York State Life, Accident & Health license and has passed two Certified Employee Benefit Specialist (CEBS) exams. Shelly participates in various events for national charities including Bright Pink, American Lung Association and the American Cancer Society. She has also served as a committee member of the inaugural Roc City Roller Derby (RCRD) while also participating as one of the founding skaters. Shelly resides in West Irondequoit with her husband and son. Mike has been with Smola Consulting since January 2009. He is responsible for managing all of the day to day operations of the Smola Consulting office. Mike had previously worked in the printing industry having been with GLC Business Services and IKON Facilities Management, overseeing the print and production department for the Rochester Chamber of Commerce/ Rochester Business Alliance (RBA) for over 15 years. Mike has been actively involved with Greece sports, coaching baseball and basketball. He is also involved in biking and running and participates in many charitable runs and bike rides. Mike resides in Webster with his wife. Jennifer started at Smola Consulting in June of 2016. She holds a Bachelor of Science Degree (Psychology/Elementary Education) and a Master of Science in Special Education from St. John Fisher. Jennifer’s work experience includes 18 years for the Diocese of Rochester at St. Lawrence School, teaching children grades 3-6 for 18 years, before joining the team at Smola Consulting. She holds an NYS license in Special Education birth through age 21 as well as Elementary pre-k through 6th grade. Jennifer continues to volunteer her time within the community working with children who need extra support in Math and English language arts. Jennifer resides in Churchville with her daughter. Rick worked in public education for 34 years most recently serving as the Superintendent of Schools in Lyons. Previous to that, he was the Director of Health, Physical Education and Athletics for the Webster School District. Health and Wellness is a passion for Rick. He holds professional health and wellness certifications from the Cooper Institute of Aerobic Research, the American College of Sports Medicine and Rochester Institute of Technology. Also, he is a Past President of the New York State Association for Health, Physical Education, Recreation and Dance. Rick lives on Keuka Lake with his wife Diane. He enjoys being physically active particularly biking and kayaking. He and Diane have 2 grown children, Colleen and Rich, who both work in the health care industry.